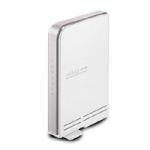 The AirPremier DWL-2200AP is an enhanced high performance 802.11g wireless Access Point with 802.3af Power over Ethernet (PoE) for use indoors. 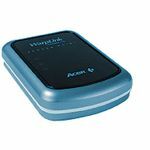 This device supports wireless networking speeds of up to 108Mbps (Turbo mode) 1, while providing seamless interoperability with 802.11b/g wireless equipment. With high data transfer rates, enhanced security, built-in bridge function and PoE remote power support, this device offers a business-class solution for a secure, high-speed wireless deployment. 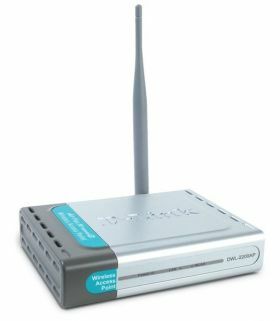 With transmission speeds of up to 108Mbps (Turbo mode) on the popular 2.4GHz public frequency, the DWL-2200AP is an ideal solution for bandwidth intensive WLAN application. In a typical working environment with multiple users accessing the network at the same time, the DWL-2200AP can operate at 15 times the throughput of the normal 802.11b wireless LAN equipment. For maximum coverage, the DWL-2200AP can be placed at out-of-the-way locations such as on a ceiling or high wall, where AC outlets are inaccessible and providing power to these locations is difficult and expensive. The DWL- 2200AP can easily obtain power from an Ethernet switch located as far as 100 meters away through the unused pairs of your existing network cable, doing away with the need to install separate power wiring. With industry standard 802.3af PoE support, the DWL-2200AP does not even require a PoE injector. The DWL-2200AP supports 64/128/152-bit WEP data encryption and WPA/WPA2 security functions. It provides the latest wireless security technologies by supporting both WPA and WPA2 Personal and Enterprise to ensure complete network protection. In addition, the DWL-2200AP comes 802.11i-ready to fully support industrial-grade wireless security. 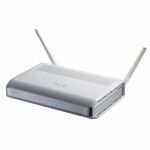 Other security features included in this Access Point are MAC Address Filtering, Disable SSID Broadcast and support for Advanced Encryption Standard (AES) data encryption. To maximize total return on investment, the DWL-2200AP can be configured to operate as an access point (AP mode), a point-to-point bridge or a point-to-multipoint bridge (WDS mode). In the WDS/Bridge mode, the DWL-2200AP communicates only with wireless bridges, without allowing for wireless clients or stations to access them. For maximum Network administrators can manage all the DWL-2200AP’s settings via its web-based configuration utility or with Telnet. For advanced network management, the administrators can use the D-View SNMP management module to configure and manage multiple access points from a single location. In addition to a streamlined management process, network administrators can also verify and conduct regular maintenance checks without wasting resources by sending personnel out to physically verify proper operation.